Hello! Welcome back to the Wednesday Brutus Monroe Inspiration Team blog hop. This week we are all about embossing powders. 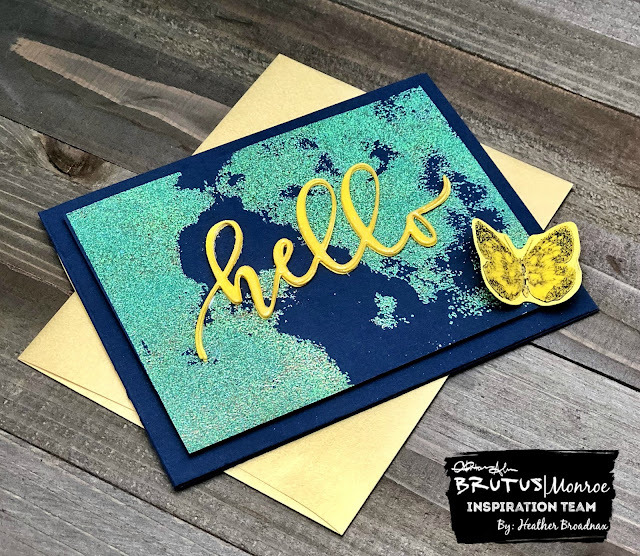 Did you know that Brutus Monroe has awesome embossing powders that melt evenly and give amazing coverage for the area or item that you want embossed. 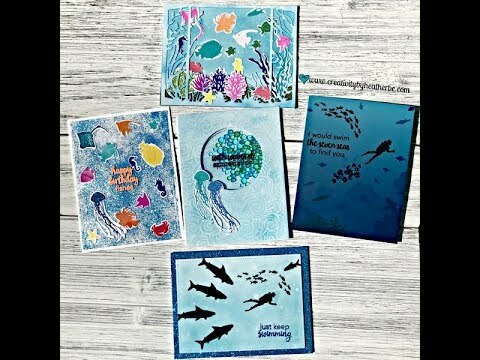 There is also a subscription of the month Embossing Club. When you sign up for the Embossing Powder club, you will receive never before released limited edition powder once each month. IF there are any powders left over from the subscriptions, they will be sold in store until gone. 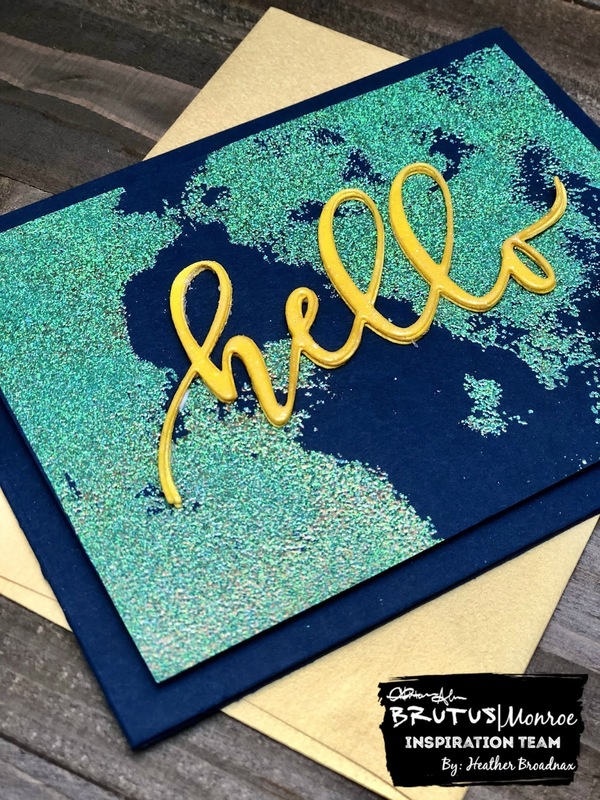 To create this gorgeous Hello card I used the August embossing powder of the month Emerald City. It is a beautiful green color, but when you tip it to the side you can see yellow in it as if you are looking at the hidden yellow brick road. To start I used clear embossing ink on the Watercolor background stamp then applied it to a piece of Midnight cardstock , next I applied the embossing powder onto the cardstock and heat set it with the Wagner Heat Tool. To create the hello on the front. To give the Hello die dimension I cut it 4 times using Phonebook cardstock and glued then together. Then adhered it to the panel. 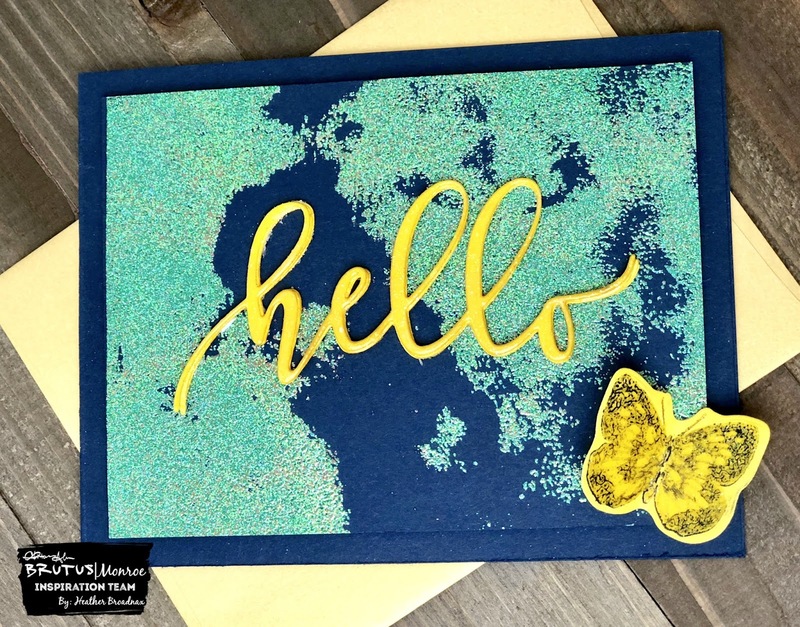 For the butterfly I used heat embossed the solid image from Butterfly Sentiments 2.0 using Fairy Dust embossing powder then used the coordinating dies to cut it out of Phonebook cardstock. Finally, to finish up the butterfly I used Raven detail ink to stamp the detail stamp from the set of the same butterfly. I adhered everything to a Midnight card base and the card is complete. Very simple, yet a beautiful card to brighten someones day. 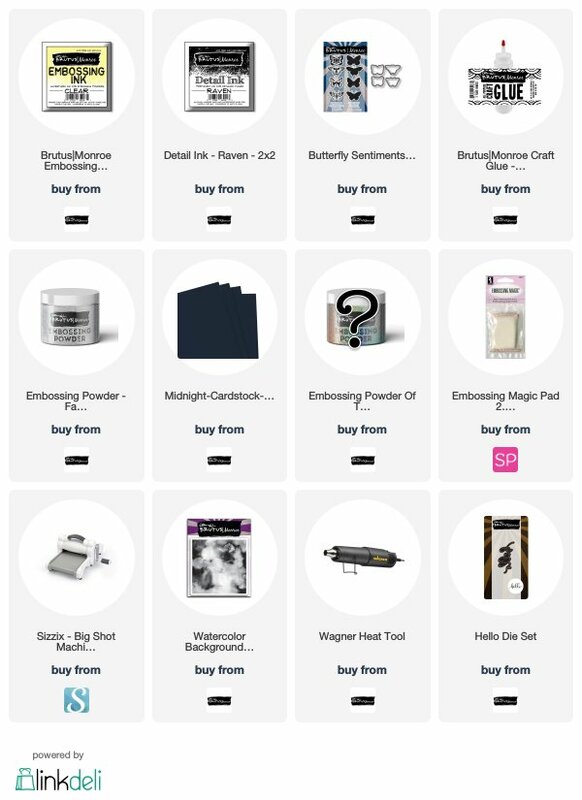 Don't forget to subscribe to the Embossing Powder Club so you don't miss out! Don't forget to check out all of the amazing projects created by our design team below.